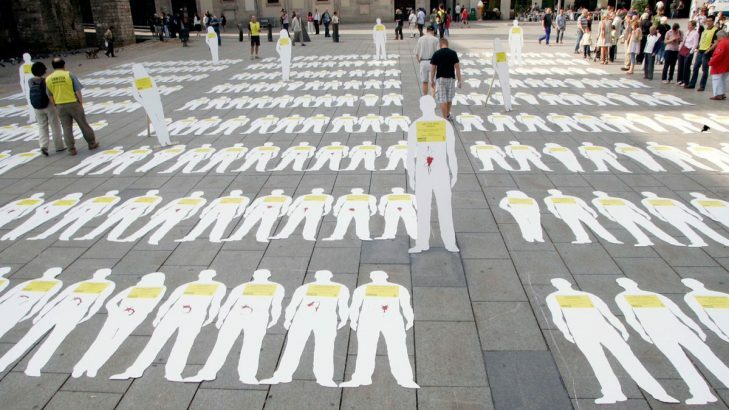 New figures released by Colombian human rights organisations show that 226 social activists and human rights defenders were murdered in Colombia between 1 January and 17 November of this year. The findings represent a sharp rise on the previous year. The figures were complied by three organisations: the NGO Indepaz, the Patriotic March and the Cumbre Agraria. The latter two have seen their own members killed during the violence that has targeted civil society since the peace agreement was signed in November 2018. The below diagram shows the regions were murders have occurred. 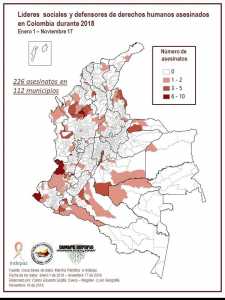 The most violent municipalities are in North Cauca, North Antioquia and the Tumaco region of Nariño. Murders have also been committed in many other parts of the country.